Then seeing over (tourist do not permit to enter this site) which used to be a secret place to store weapons from northern battlefield support for the South Central and Central Highlands with the history of Train No–number ships. Therefore, this place has been registered as national historic site. Arrive to Nha Trang airport, meeting our tour guide and driver. Pick up and transfer to hotel for check in. 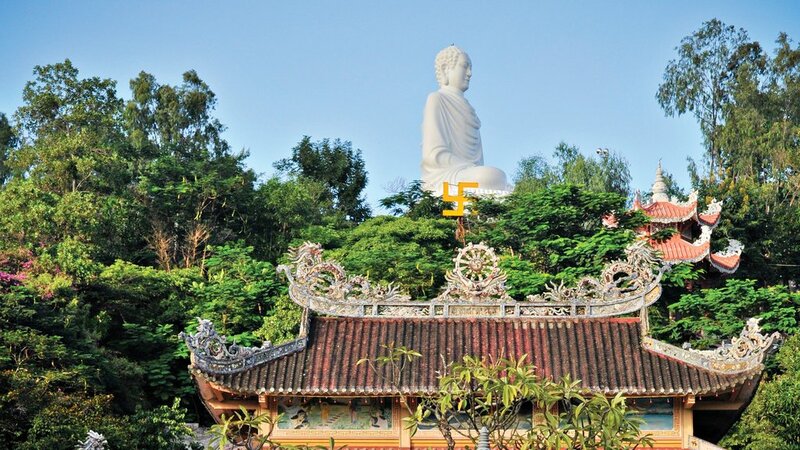 After short rest, staring the city tour to visit Long Son Pagoda, Mountain Church and Long Thanh’s Studio & Gallery. After visit Ponagar Tower, Chong Promontory, we end at Dam market for everything for sale. Breakfast at your hotel. At 8.30am, transfer to the dock and take the morning boat trip to visit the offshore islands including Mun Mot island. See the Tri Nguyen Aquarium. Leisure for swimming pool on Tam Island. Breakfast at your hotel. At 7.00am, depart for Tuy Hoa. 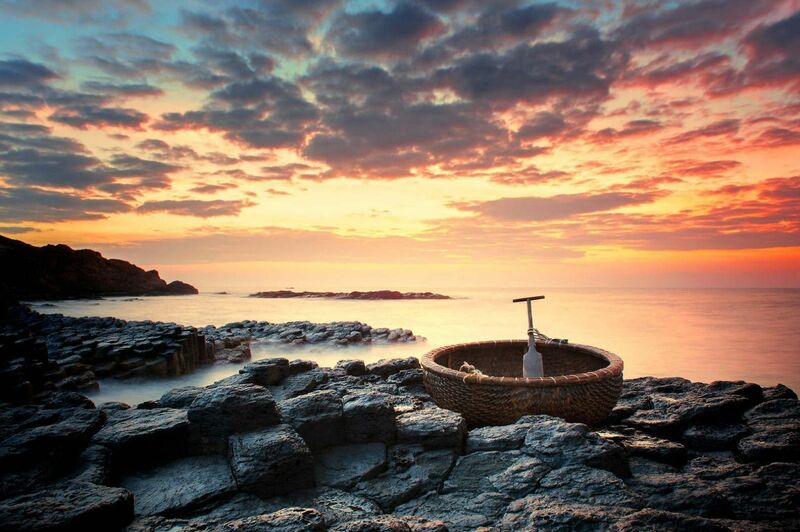 One the way, visit Mui Dien, where the dawn is first seen daily. 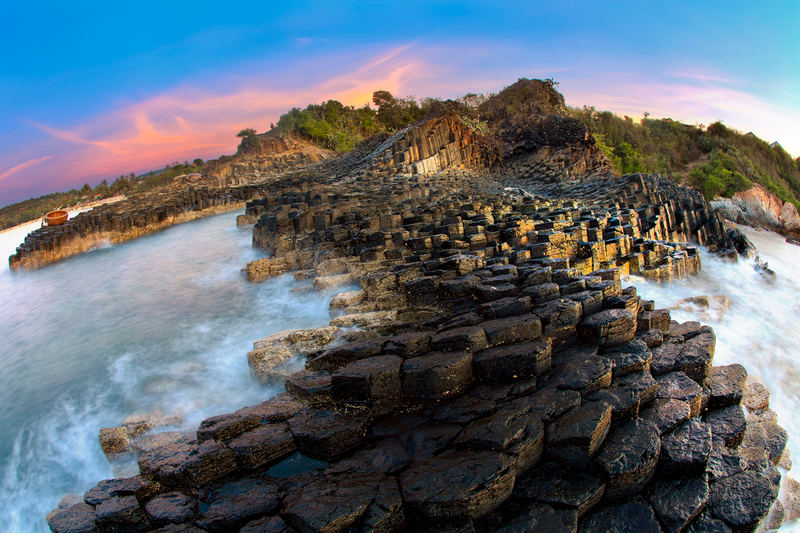 It is part of Truong Son mountain range overlooking the sea, discovered by a French soldier – Varella. Geographically, it is recognized as land. But at a certain distance, it looks like either a mountain or an island because of a stream separating both bodies of land. On the foot of Mui Dien cape is Mon beach, with white sand and blue water. Travelers can go swimming here. After that, return to Tuy Hoa city for having lunch at local restaurant. In the afternoon, proceed to Da Dia cliffs. They are structured with a surprising geology, including bountiful rocks in disparate shapes: circular, pentagonal, hexagonal or other polygonal looks. They are stacked together in a heap or fixed in pillars like plates overlapped each other. After surveying and testing sample, the geologists said that these are black and yellow basalt rocks. From a far corner, the whole area looks like a giant beehive. 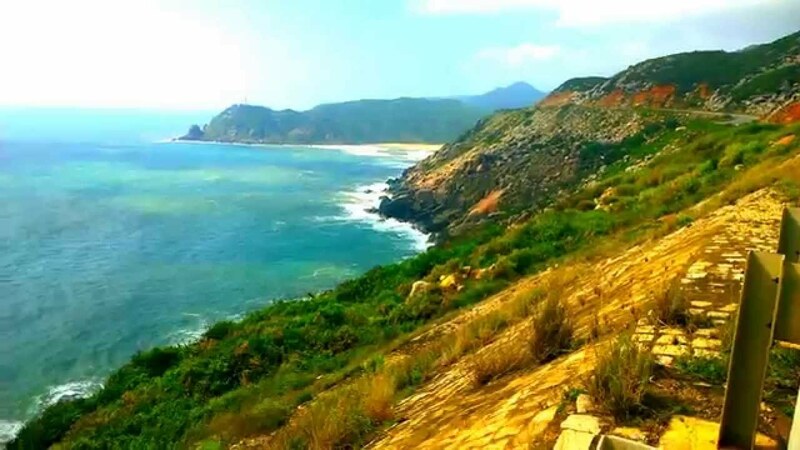 After seeing Da Dia cliffs, transfer you to Xep beach or Ganh Ong, one of the beautiful sights in the film “I see yellow flowers on green grass”. Leisure for swimming or take photos. Breakfast at the hotel. 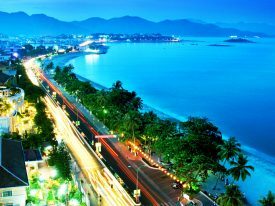 Leisure until transfer to Nha Trang airport for your flight home. End service. 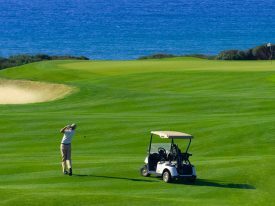 Saigon Golf Packaged Tour 4 days 3 nightsPrice from :Contact. Vietnam train tour begins from Ho Chi Minh city to Nha TrangPrice from :Contact. 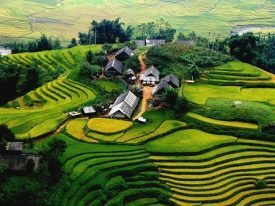 Explore scenic beauty along Northern Vietnam tour 7 daysPrice from :Contact. 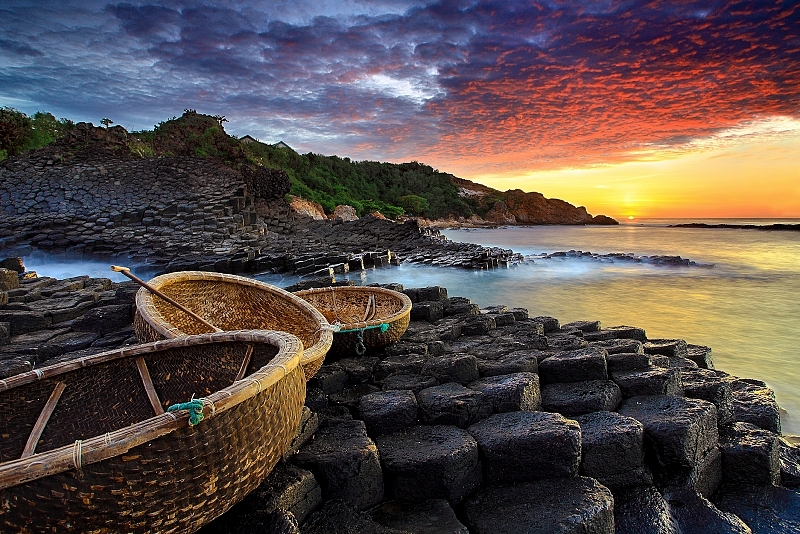 Da Nang city and Hoi An ancient town 4 days 3 nights tourPrice from :Contact. 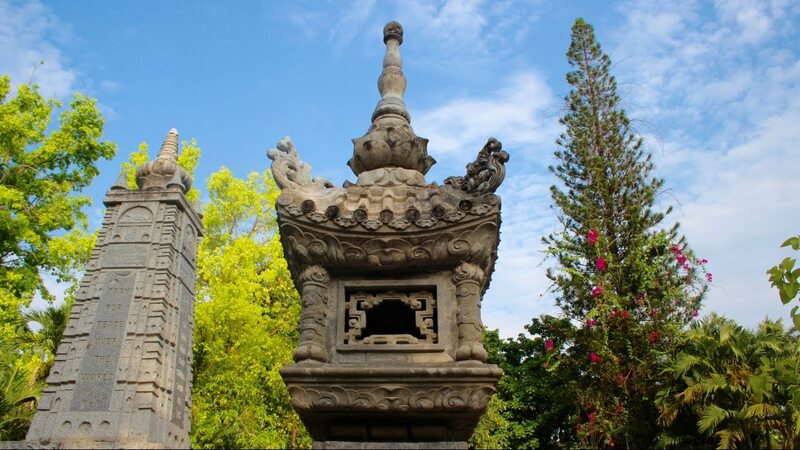 Joining Ha Noi city tour 5 days 4 nightsPrice from :Contact. 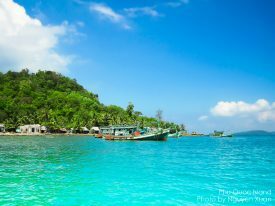 Phu Quoc Island to Ho Chi Minh city via Mekong Delta tour 3 days 2 nightsPrice from :Contact.